Shell Oil Company Honors Lewis & Raulerson, Inc.
Lewis & Raulerson, Inc. was recently honored by Shell Oil Company in Chicago for its 75 Years of partnership. Lewis & Raulerson, Inc. has been a Shell distributor since 1938. 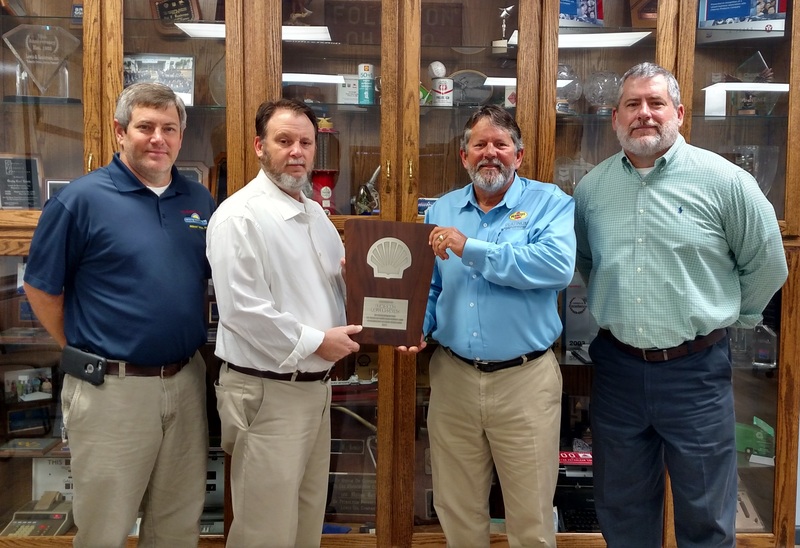 L&R was recognized as one of the top four distributors for its longevity with Shell Oil Company in the world. Pictured Board Members Include: Brantley Crosby, David Turner, Bill Raulerson & Danny Smith (not pictured: Anna Lewis). 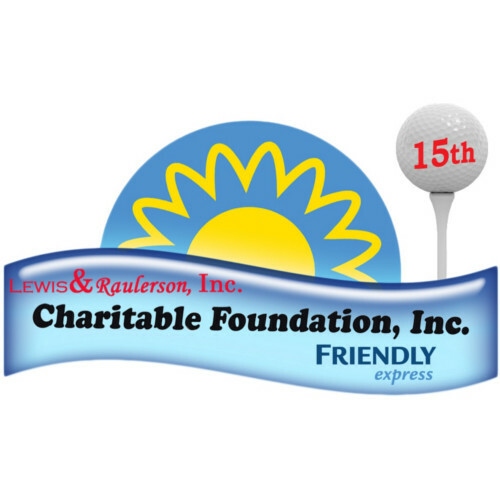 Lewis & Raulerson – Friendly Express Charitable Foundation, Inc. recently held its 15th Annual Golf Tournament on Jekyll Island Thursday, November 5th, 2015. It was a hugh success with over 148 players. The players and volunteers enjoyed nice warm temperatures, good food, and a great course. Over $85,000 was raised and donations keep coming in. The charitable foundation believes in giving back to our local community. Some of our top charities include: Dreams Come True, Satilla Hospice, Kingdom Care, Coastal Coalition for Children, & The Georgia Baptist Children’s Home to name a few. BIG thank you to our wonderful vendors that make all of this possible! 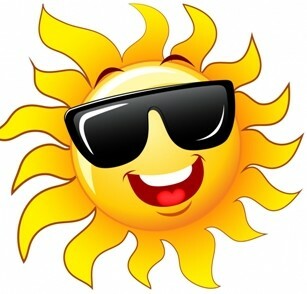 Come In and Cool Off!! Cold Drinks & Popcorn For Our Wonderful Customers! Make sure you come in and register for the drawing!! “4” Lucky Customers will win a Friendly Express Gift Card!! Lewis & Raulerson, Inc., prides itself in giving back to the communities that help it succeed as a wholesale oil and gasoline distributor. The Lewis & Raulerson – Friendly Express Charitable Foundation, Inc. recently put on its 14th annual Charity Golf Classic. 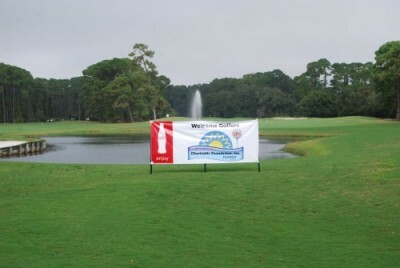 This year’s event teed off at the Jekyll Island Golf Course in Jekyll Island, Ga.
Nearly 145 golfers participated, and with the help of generous vendors, the event raised more than $85,000 that was donated to regional charities. The following photographs give recognition to these charities and the needs that exist within in the Lewis and Raulerson, Inc., communities. The foundation would like to thank all the vendors that made this possible, and while space does not permit us to mention every vendor, we would especially like to recognize Pepsi, Stewart Distribution, Monster, Hatcher Petroleum and BP for their tireless and unselfish support of our tournament. Some of the charities and communities that benefited include GA Baptist Children’s Home, Coastal Coalition for Children, Kingdom Care, Inc., Dream Comes True and Jesup GA Charities. Lewis & Raulerson, Inc. is joining forces with The Blood Alliance and Dreams Come True for a blood drive Friday, March 20. The event is noon to 4 p.m. at the L&R corporate office, 1759 State Street, Waycross, Ga. It is L&R’s first blood drive. Lewis & Raulerson, Inc. has been a wholesale distributor for more than 70 years, supplying light products, distillates and lubricants. The company markets products such as BP, Chevron, Citgo, Mobil, Shell, Texaco and AmeriFuel to more than 250 dealers in four states. Lewis &amp; Raulerson serves more than 40 commercial and fuel accounts as well as its FueLoc (Proprietary Credit Card) customers. Lewis & Raulerson, Inc.’s motto, “Integrity Driven … Service Powered” can be seen in its various departments that are available to assist you; including: Accounting, Maintenance and Construction, Risk Management, to name several. The Construction, Maintenance and Fleet departments are available 24 hours a day, 7 days a week, and our environmental issues are monitored by our Environmental Compliance Manager with the latest technologies available. Lewis &amp; Raulerson, Inc. has experienced explosive growth over the past 10 years with almost 200 million gallons sold annually. And, for the past 25 years, it has more than just distributed, it has served its customers on the retail level.